Shirley J. (Fontaine) Matzko, 83, of Springfield passed away on Friday, August 3, 2018 at Harmony House in Chicopee. She was born in Easthampton on January 2, 1935 to late Omer A. and Lillian (L’Heureux) Fontaine. Shirley worked as a home health aide for over 20 years. She enjoyed reading, especially mystery, and gardening. 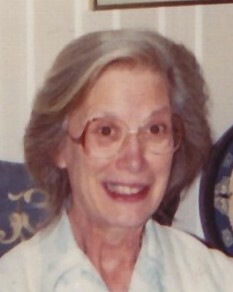 Shirley leaves her four children, Robert E. Matzko, Jr. of Springfield, Sharon Schmidt of TX, Beth Matzko and her husband Fred Rider of Agawam, and Eric S. Matzko of Springfield; her twin siblings, Robert Fontaine and Roberta Sullivan; four grandchildren, Jennifer Rider, Tricia Schmidt, Nick Schmidt, and Melissa Matzko; two great-great grandchild; several nieces and nephews; and her adored cats, Callie and Jasmine. Along with her parents, Shirley was predeceased by four of her brothers. A Celebration of Life Service will be held on Saturday, August 25, 2018 at 12noon at Byron Keenan Funeral Home, 1858 Allen St, Springfield. Calling hours will precede the service from 10am – 12noon. Donations may be made in lieu of flowers to Harmony House. For further information visit byronkeenan.com.